Reflux laryngitis, also known as laryngopharyngeal reflux (LPR), is a relatively common condition. Many patients do not have the classic symptoms of GERD, including heartburn, and the correct diagnosis is often initially overlooked. Constant throat clearing may be the only presenting symptom. Other manifestations include a feeling of a lump in the throat with a choking sensation (globus pharyngeus), odynophagia, dysphagia, chronic cough, and hoarseness. The patient may also complain of postnasal drainage. Spicy foods, fats, caffeine, chocolate, beer, milk, and orange juice are known to exacerbate the condition by lowering LES pressure. Several medications increase reflux of acid into the esophagus, such as beta blockers, calcium channel blockers, diazepam, and progesterone. Obesity and sleep apnea also predispose the patient to GERD and reflux laryngitis. A careful history and examination allow the diagnosis to be made. Findings on indirect or flexible fiberoptic laryn-goscopy are nonspecific and include edema, erythema, and redundancy of the mucosa around the arytenoids and postcricoid area. Occasionally, small granulomas are present posteriorly near the vocal processes of the arytenoids. Studies that help confirm the diagnosis of GERD include barium swallow, pH probe, esophageal manometry, and esophagoscopy. Gastroenterology consultation may be necessary. Often the diagnosis of reflux laryngitis cannot be confirmed or excluded with a trial of empiric therapy. The treatment for reflux laryngitis consists of diet and lifestyle modifications and acid-reducing medications. 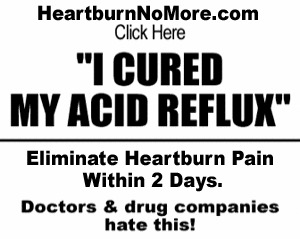 Diet modification includes avoidance of foods and substances known to increase acid reflux. Lifestyle modifications include avoidance of eating near bedtime, elevation of the head of the bed 6 to 10 inches (15-25 cm), weight loss, and avoidance of tight-fitting clothing. 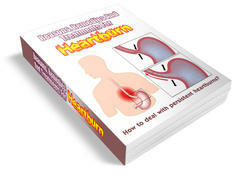 Medical therapy usually begins with a trial of H2 blockers or preferably daily dosing of proton pump inhibitors (PPIs). Refractory or severe cases usually respond well to twice-daily PPI therapy. Although most patients respond to treatment, resolution of symptoms can take several months after initiating proper treatment. It is critical that visualization of the larynx be obtained early if the patient's symptoms persist, to rule out more serious pathology such as neoplasia.